Sales Reps play an important role in helping prospects make complex buying decisions. They have to constantly get in touch with the prospects to help them understand about the brand. To make this process smooth and effective, there has to be a perfect harmony between CRM and email marketing systems. Zoho Campaigns tightly integrates with Zoho CRM to help you reach out to your leads, prospects, and customers with ease, and measure the outcome of your efforts. How have your campaigns performed? How many prospects have responded well to a specific campaign or promotion? 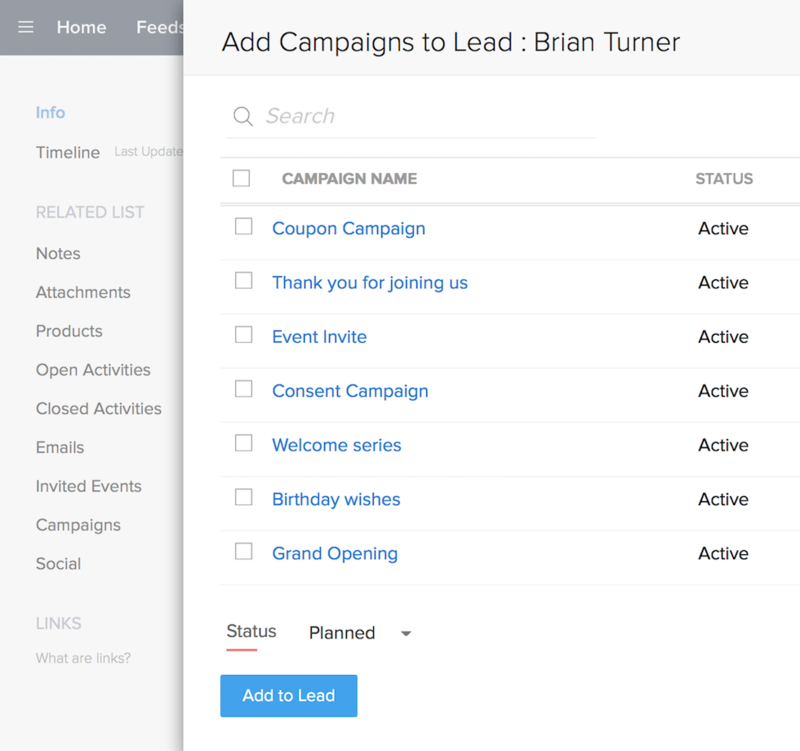 All these details are available right inside your CRM system. You can tailor your sales calls accordingly. Increase engagement with targeted campaigns. 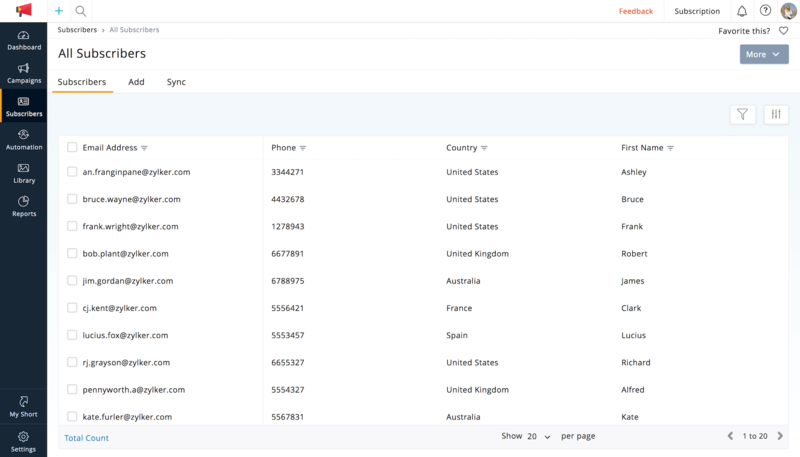 Your CRM system knows everything about your leads, prospects and customers. You can tailor information in your emails based on their needs, thus giving you better results. Only the most qualified leads come to you for further sales follow-ups. These leads would have already shown interest in your products - and the sales time is shorter. This means you can work on more leads and close more deals. You do not have to worry about maintaining two sets of customer data. 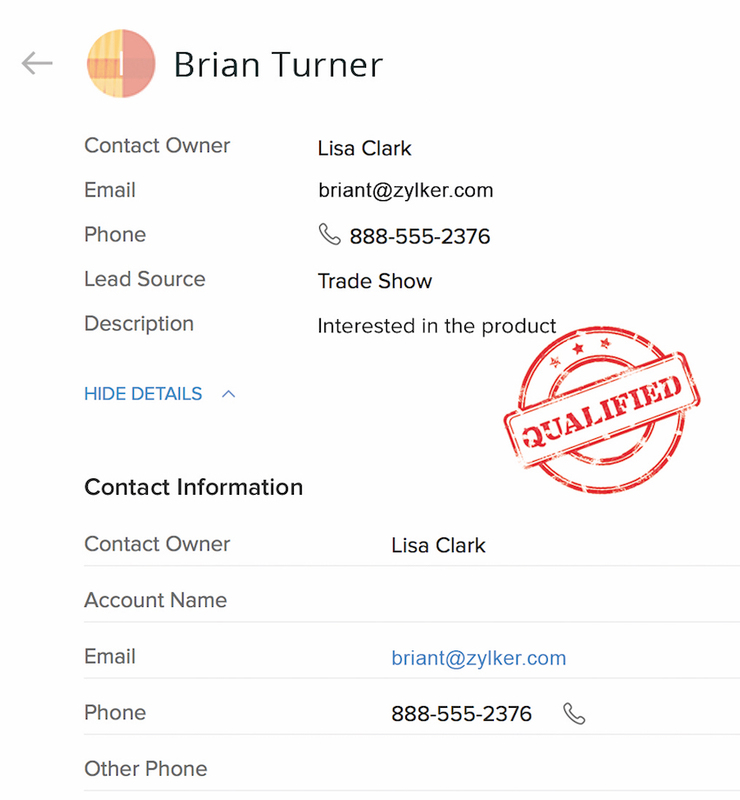 The advanced sync between Zoho CRM and Zoho Campaigns lets you maintain a single, up-to-date version of contact and lead information. Email opt-outs get updated too and you do not end up sending emails to people who have unsubscribed from your mailing lists.